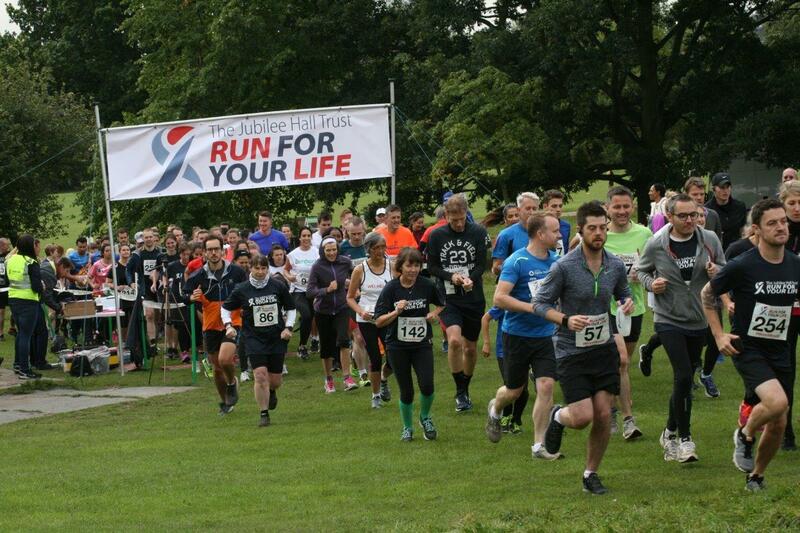 Jubilee Hall Trust’s 4th annual Run for your Life has been confirmed this year for Saturday 15th September on Hampstead Heath. The event is now in its fourth year and features 2k, 5k and 10k trail runs, so that everyone can join in! 314 runners took part last year, with some completing their first ever 2k, families participating for the 3rd year in a row, and more than 50 Parkrunners entering. There was a great atmosphere on the day, and lots of positive comments from those taking part. Entries for this year’s event are now open online, and funds raised go to the British Heart Foundation’s Move It: Beat It campaign.